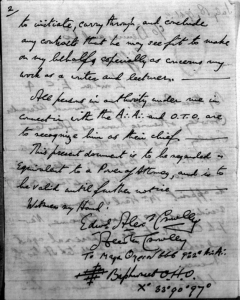 On July 18, 1941, Aleister Crowley wrote to Karl Johannes Germer to inform him that he was to succeed the Beast upon his death in both the O.T.O. and the A∴A∴. Also known by his magical name as Frater Saturnus, Karl Germer would take over the two Orders in 1947 and would act as Crowley’s successor until his death in 1962. Although Germer did not much advance the aims of the O.T.O., he did manage to secure and consolidate Crowley’s literary estate. 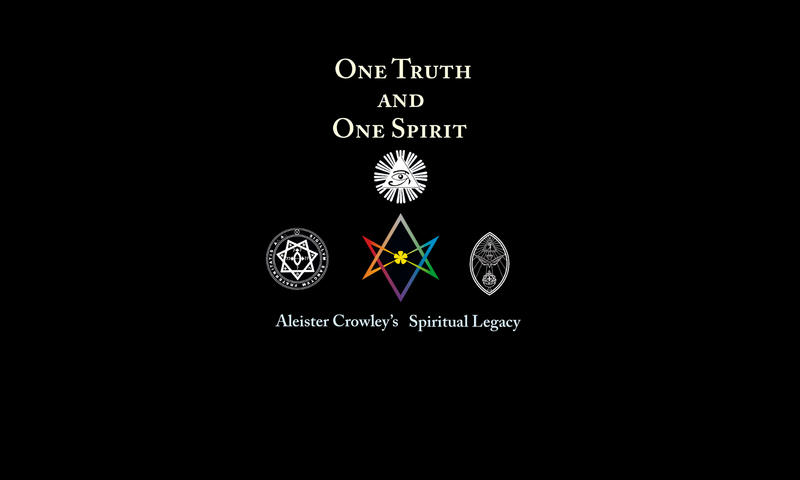 He published many works by Crowley, including many texts that were previously unavailable in the Beast’s lifetime such as Magick Without Tears and Liber Aleph. 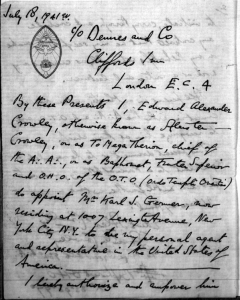 By these Presents, I, Edward Alexander Crowley, otherwise known as Aleister Crowley, or as To Mega Therion, chief of the A∴A∴, or as Baphomet, Frater Superior and O.H.O. of the O.T.O. (Ordo Templi Orientis) do appoint Mr. Karl J. Germer, now residing […] to be my personal agent and representative in the United States of America. I hereby authorize and empower him to initiate, carry through, and conclude any contracts that he may see fit to make on my behalf especially as concerns my work as a writer and lecturer. Attorney, and is to be valid until further notice.